Get your Quick Quote here! 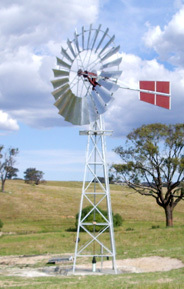 Contact us and we'll get back to you as soon as we can to give you a quote for your windmill! Everything you need to install repair and maintain your windmill. 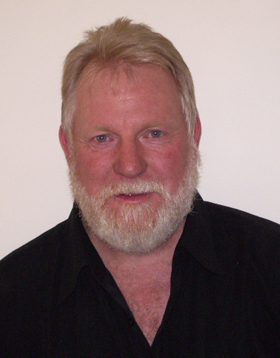 My name is John White for more than 40 years I have been involved in the installation, repair and maintenance of windmills. 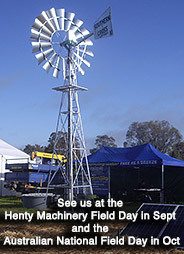 We supply manufacturing parts and associated products as well as offering your next windmill for sale. With this expertise I can offer a service that is second to none on all your windmill repairs and servicing. Design a new installation: We design your system using the most practical and cost effective solution. Windmills can have a life span of 30-40-even 50 years with regular servicing. Repairing: Advise you on what’s needed for sustained trouble free pumping. 4 post easy climb safety towers: Available to suit Yellowtail or Southern Cross heads. Makes climbing the tower easier and safer. Towers have a ladder that protrudes out from the frame allowing your feet to engage the ladder rungs extending up through the grid mesh platform. Grid mesh platforms for most makes and models, hot dipped gal for longer life. Syphon pumps from stainless steel made to fit standard flush cap pumps no rusting or cracking. Air chambers from stainless, no rusting or cracking here either. Pol-Col rod and column: Give rusting steel pipe the flick. Installation Repairs and Service: On site installation and repairs. WIND the cheapest cleanest and most efficient power source available. 3. No starting and stopping engines. 4. Pump from bores dams rivers springs and wells. If you have any questions on your windmill for sale or would like to book a free quote on your windmill repairs, please do not hesitate to contact me — I operate throughout NSW to give you the best engineering, every single time.